Kampala is the capital city of Uganda. Kampala has been ranked as the best city to live in East Africa by Mercer, with a pleasant climate, a wonderful fauna and flora, good security standards, well educated people and fast growing business sectors. There are at least 32 languages spoken in Uganda, but English and Swahili are both the official languages. To enable Conference participants to better prepare, please view our Uganda FAQs. Watch Discover Uganda, the Pearl of Africa showreel by the Ugandan Tourism Board. Set on 90 acres in the Speke Resort complex with a majestic view of Lake Victoria, Speke Resort Munyonyo is Uganda’s leading 5-star luxury Resort and continues to redefine grandeur and elegance. 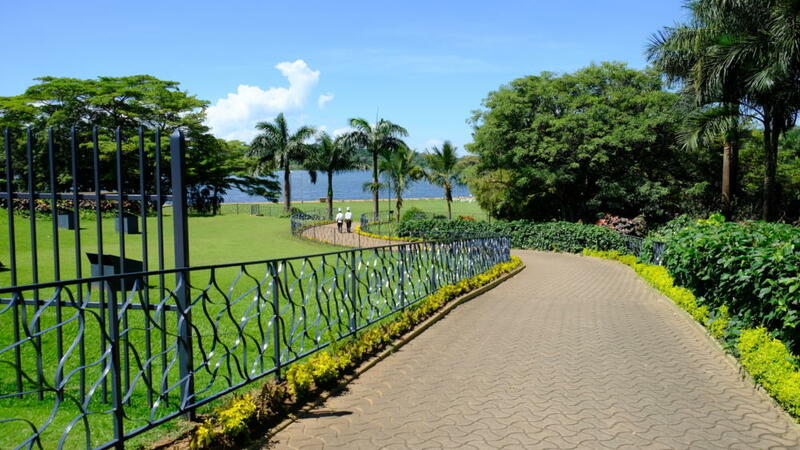 It is conveniently located 12km from the centre of Kampala and 38km from Entebbe International Airport. The resort offers the ultimate in luxury accommodation and leisure facilities with the finest conference and business meeting location in East Africa. Guests staying at the resort will enjoy an Olympic size swimming pool, equestrian centre, 5 star restaurants, gymnasium and all the hotel sports facilities. Watch the Speke Resort Munyonyo showreel.